February 15 to 19, 2019. January 17 to 20, 2019. January 14 to 17, 2019. 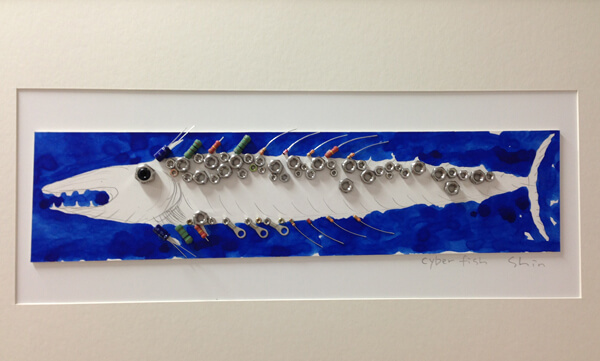 Exhibition by Oh chang rin: Computer Graphics "Wood fish"
December 13 to 16, 2018. November 23 to 28, 2018. November 16 to 21, 2018. I took all these pictures in Brion Vega, Italy. and this work is especially taken for more that 10 years. and his skillful hand make this great space for the tomb. 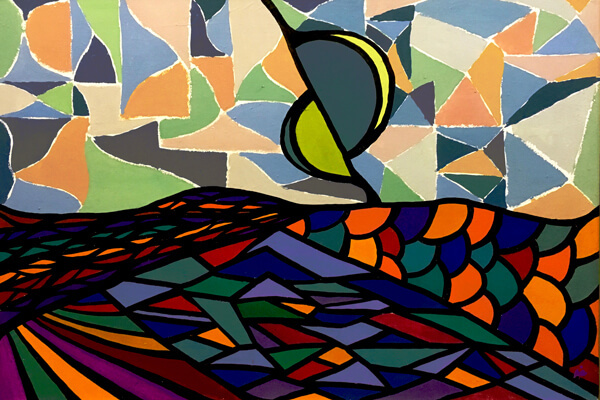 Interpretation, material, detail, and sense of space is highlighted in this work. October 26 to 31, 2018. May 18 to May 20, 2018. April 12 to 18, 2018. 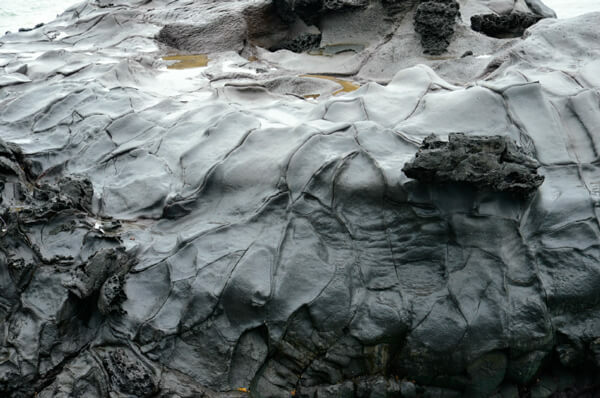 Photography Exhibition by Kiyoon Chang: "Space in stone II"
April 6 to 10, 2018. February 1 to 7, 2018. January 8 to 17, 2018. December 23 to 30, 2017. December 1 to 6, 2017. November 17 to 29, 2017. November 1 to 15, 2017. Kiyoon Chang Exhibition "Social interpretation in Design"
I took all these pictures in Ningbo, China. 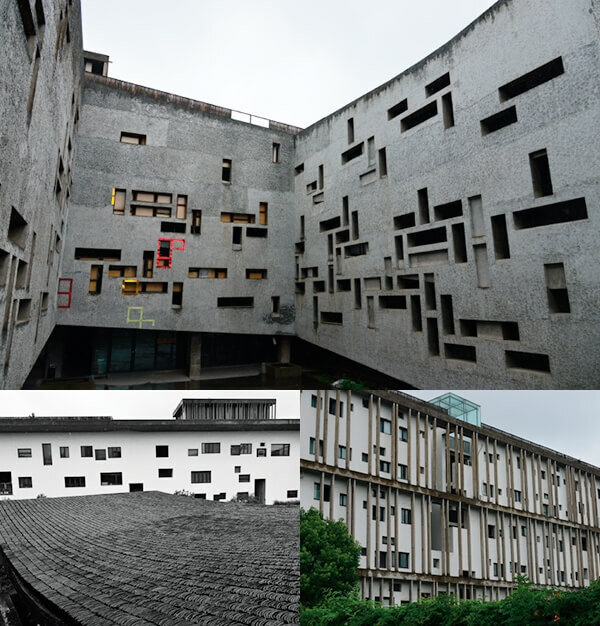 As well known for the Pritzker Award,	Wangshu is the star architect in the world. But through these pictures,	I want to transmit the essence of his philosophy, living with together. He respect urban structure in case of community	which has the identical boundary although everybody get together. Here his interpretation of Social living. October 20 to 24, 2017. 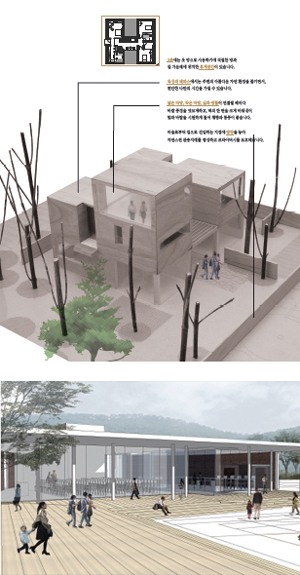 This work is mobile design using Baekje cultural assets. Korea invites contemporary craft fair Exhibition. Daejeon Museum of Art Invitational Exhibition. Seoul Art Exhibition Invitational Exhibition. Cheongju International Craft Biennale International Invited Artist. Invited Busan International Environmental Festival. International Craft Trend Fair Exhibition. -Korea Art Exhibition, Chungnam Art Exhibition, Industrial Design Competition Steering Committee and Judges. -Excellent Furniture Design Competition Judges. 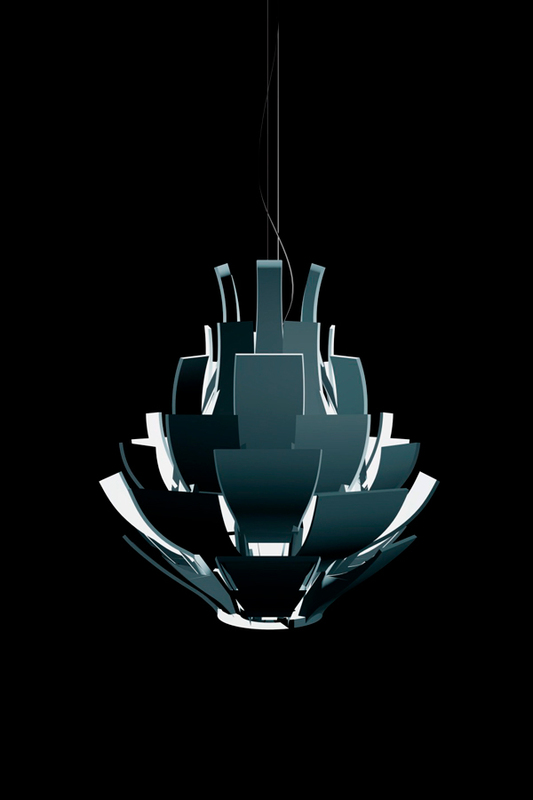 -Modern industrial design award Judges. -Baekje Cultural Arts Steering Committee and Judges. -The National Skills Competition Judges. -Disabled features 2011 Olympic furniture making international Judges. August 20 to 24, 2017. Lee Hong Goo Exhibition "Dancing with you"
July 13 to 26, 2017. April 7 to 11, 2017. March 13 to April 3, 2017. February 24 to March 5, 2017. February 9 to 16, 2017. Kim Hyoung Jong "Silhouette in Japan"
x Kim Jong Seung "Metal Works Exhibition"
Walking like the Giacometti’ s `Walking Man’ sculpture.Walking without thinking how to go where I go if not I am walking too much thinking. 1995: Diplome at Ecole Superieure d' art Decoratifs de Stasbrourg in France. -09 Silhouette (Emptiness & Filling) - Lee & Park Gallery. Paju city. Korea. -08 Silhouette 08 - Space Hamm gallery. Seoul. Korea. -06 silhouette 06 - Kepo plaza. Seoul. Korea. -04 Nature & Circulation - Kyoung in gallery. Seoul. Korea. -02 Nature & Circulation - Beak Sang Memorial gallery. Seoul. Korea. -01 MANIF 2001 - Hangaram Art Museum. Seoul. Korea. -96 Glass Exhibition by Hyoung Jong Kim. Choi gallery. Seoul. Korea. 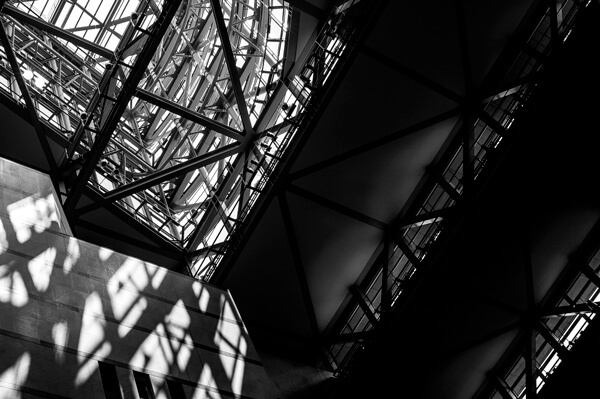 -08 Temptation of Transparency - Heavichi Art Museum. Namyangju City. korea. -08 Hot & Cold with Glass - Mokkumto Gallery. Seoul. Korea. -08 Artist notes of 12Artists - Junnam Providence Art Museum. Jeoujn city Korea. -08 World Peace Art Exhibition - Seoul Municipal, Seoul. Korea. -08 Light-Glass works - Bit Gallery. Seoul. Korea. -05 Exhibition of glass Makin - Gallery Agio. Yangpyung. Korea. -04 Exhibition of lcon Research in Christianity - Korea Presbyterian University. 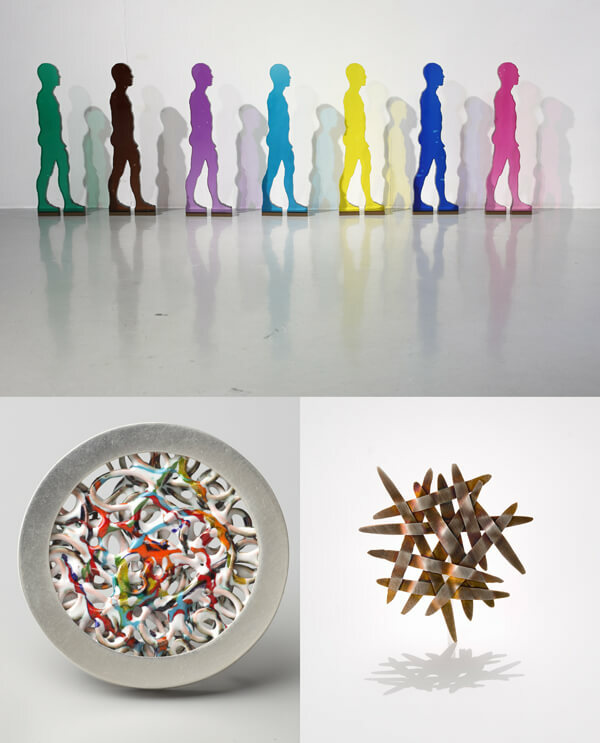 -04 Four Artists of Korea Glass sculpture - Gallery Sklo. Seoul. Korea. -04 2004 Seoul Art Exhibition - Seoul Municipal Art Museum. Seoul. Korea. Using stainless wire as the main material to express shape of space for make jewelry work and coloured with lacquer and cloisonne technique. February 2 to 8, 2017. Whole and Nothingness were daily landscapes in her childhood. The attraction and the abyss of the limitless. In her pictures we experience real and imagined landscapes. The record, the remembrance and the dream. It is not the plain or the plateau of Comodoro which appears once and again in her series, but the forest. The ominous space of the infantile fable. The scene of estrangement and ritual. A slight tremor shakes the calm surface of the photo, its tense beauty. Something makes us uncomfortable, amazes us in the pictures of those girls. What makes them feel sad? What has been taken from them? Laura Ortego´s destitute girls make us ask about the moment in which something starts the mechanism that darkens the children´s soul. How will the awareness of pain present itself? And the awareness of the absurd? Will they take them by surprise in a dream, leaving them breathless, like a lash? Will their souls burn for a moment? Will they make noise like silk paper when being crumpled? Then, nothing will be the same. How would our face look like in a picture that day? Would our small feet stagger? How many times, as grown-ups, we become that scared child in the forest, visited again by forgotten ghosts? … Now that we know, the monster lies ahead of us. “What does it matter?” seems to whisper in our ears, “Let´s play… while the wolf is away”. January 15 to 31, 2017. December 18 to 24, 2016. November 16 to 27, 2016. Pebble- shaped Vase are combined Pebble with Pebble. 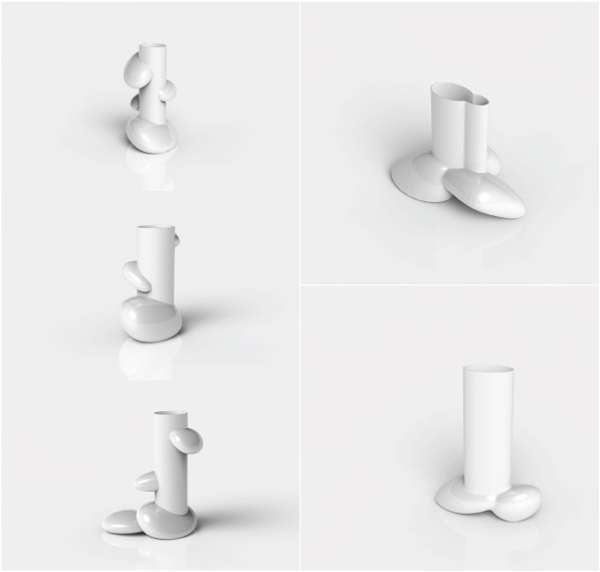 This design can be made of Clay, Glass and Various materials by The Mould casting. 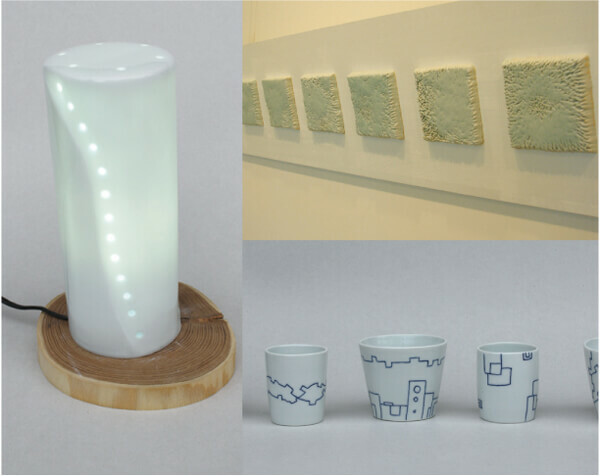 Member of Korean Contemporary Ceramic Artists Association , Korean ceramic design association, Korea Society of Ceramic Art. September 1 to 8, 2016. July 23 to August 4, 2016. July 15 to July 21, 2016. June 18 to July 5, 2016. June 9 to 16, 2016. May 25 to June 7, 2016. 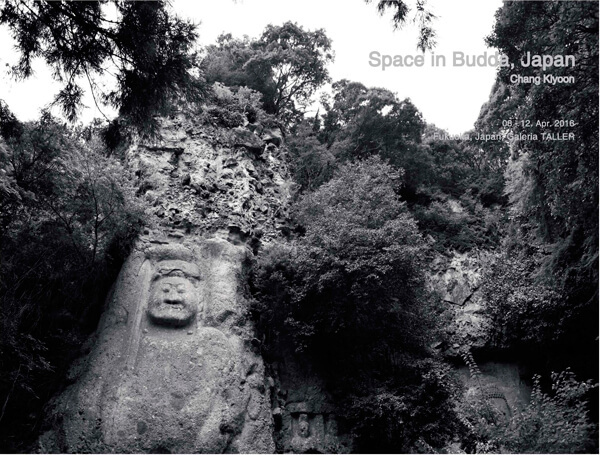 Exhition by Chang Kiyoon "Space in Budda, Japan"
I took all these pictures in Kyusyu, Japan. Normally it is hard to see the remnant of Buddism in Japan. People may know Japan is one of the popular place for buddism but the fact is opposite. Very rare place can we see the real Budda. All these pictures are about the culture of Rokugomanzan and the biggest cliff Budda in Japan. 1986 Seoul National University Dept. 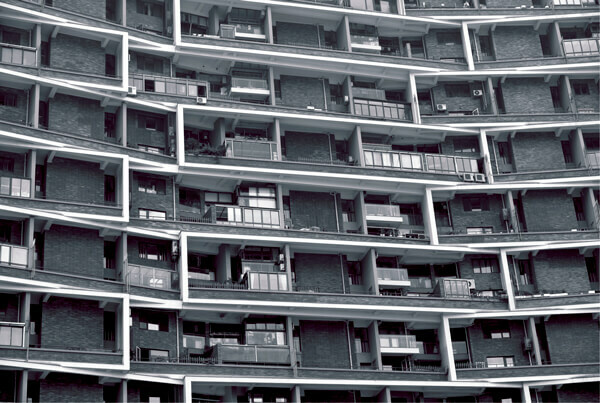 of Architecture, B.S. April 8 to 12, 2016. Japanese artist Shinya Mori works and flourishes mainly in Fukuoka. Many of his works of art, drawn while watching Tango, will be exhibited in the Nishitetsu Hall and Tiempo Hall where Milonga is held during Sakura Tango Festival. 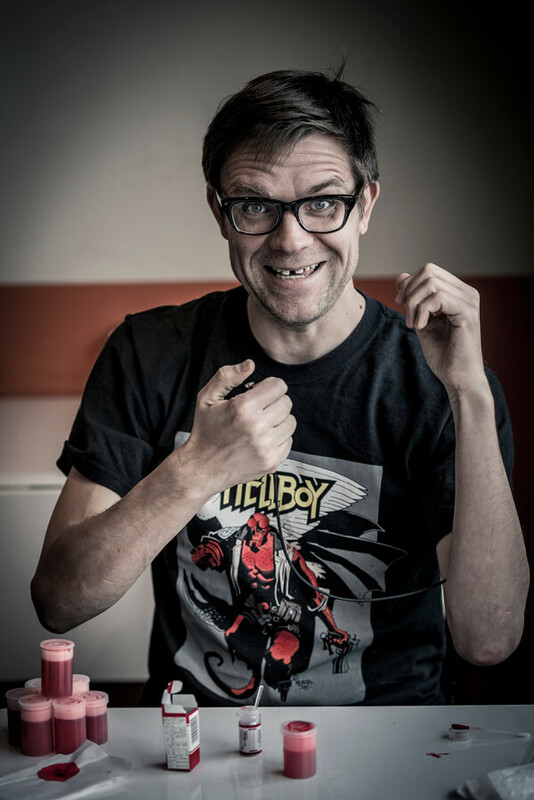 Also, you will see his live painting!! Please don't miss it and enjoy his art creation!! 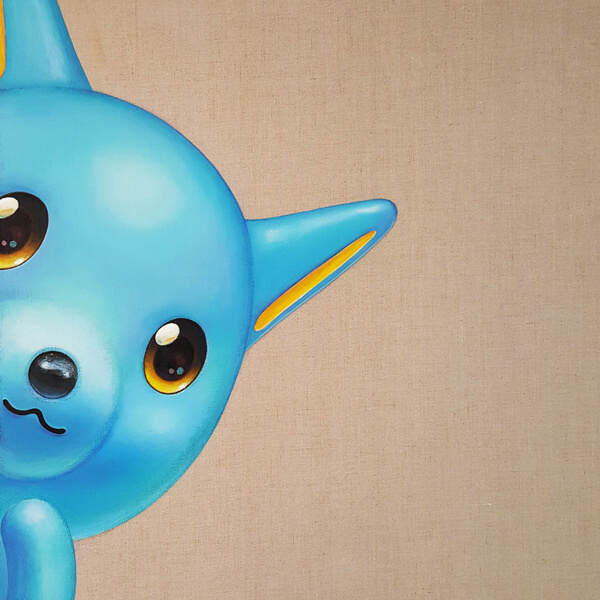 For 15 years, Shinya Mori has been traveling to Spain, engaging in art activities. Lately he’s also been developing his creativity in the city of Fukuoka. 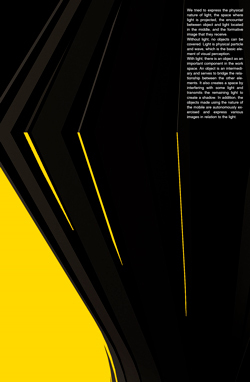 The feature of his work is highlighted in its line, point and colors. March 19 to 31, 2016. 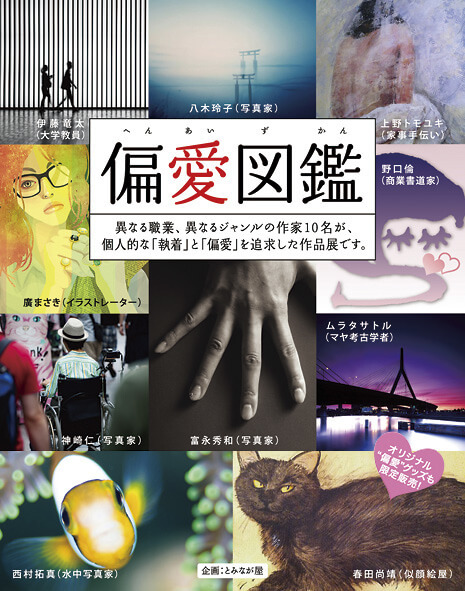 Fukuoka-based photographers exhibit their final works from a 2015 photography course. 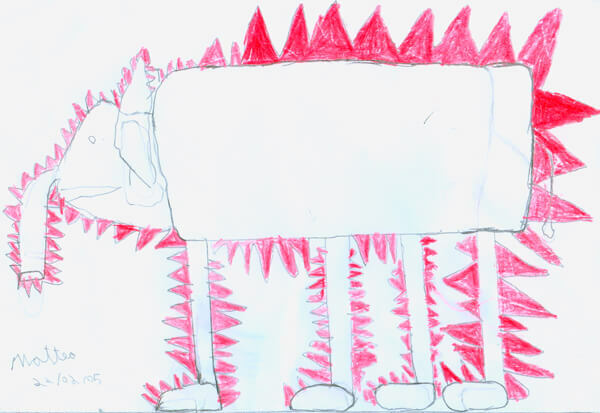 Through a variety of themes and visions, they wish to share their experiences. 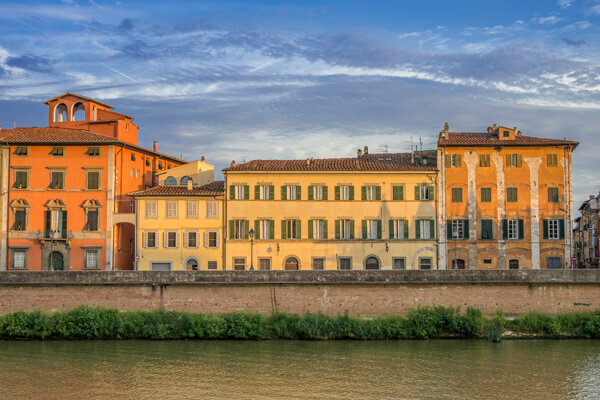 Aldo Bloise, a veteran photographer and teacher of the photography courses at Photosgraphia has been practicing photography for more than 20 years. Trained in graphic arts in Geneva, he followed a traditional approach to photography until very late, preferring black and white film grain over the first digital cameras. Aldo Bloise has produced several personal exhibitions, including “Kawaii Nostalgica”, “Iro, Iro, Iro” and “Metropolitizen” in Switzerland. A visit in Italy through the memories of the photographer, desperately looking for the imaginary light he remembers of his childhood. From Pisa where he was born, to southern Italy, Venezia, Cinque Terre and many more, Aldo Bloise is maybe searching some answers about his own identity and current life in Japan. Laszlo Lovasz has been a Fukuoka resident for over a decade. He rediscovered photography, and film cameras two years ago. 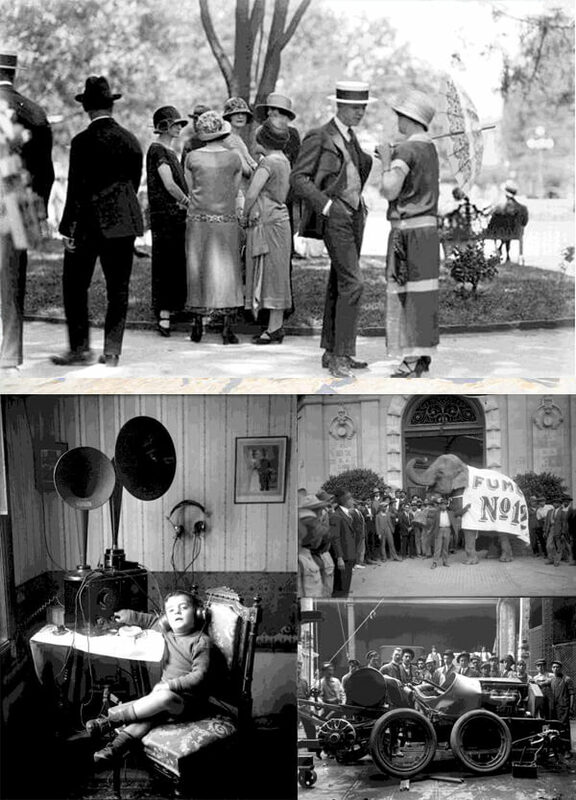 At the Photosgraphia course he became interested in visual story-telling. The theme is a depiction of daily life – make money, leisure, chores – in a comics fan’s mind. Collaboration with Aldo Bloise. 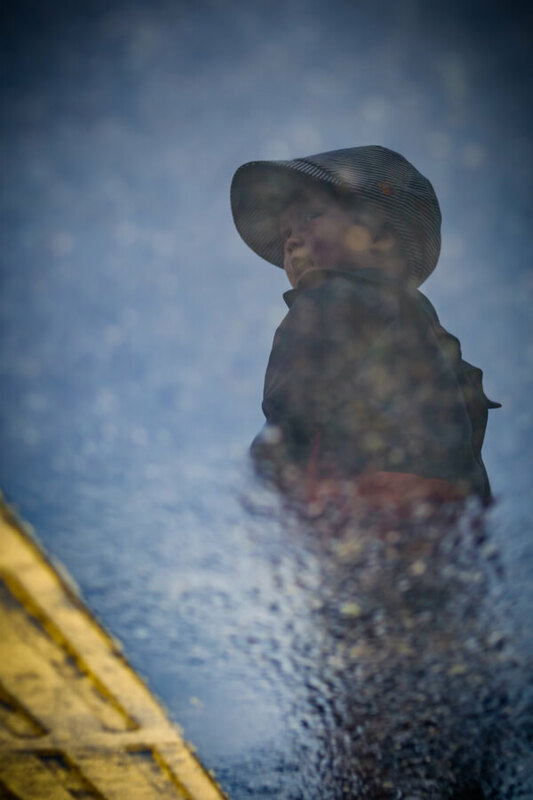 Christie Provenzano is a long-term Canadian resident of Fukuoka and a novice photographer. 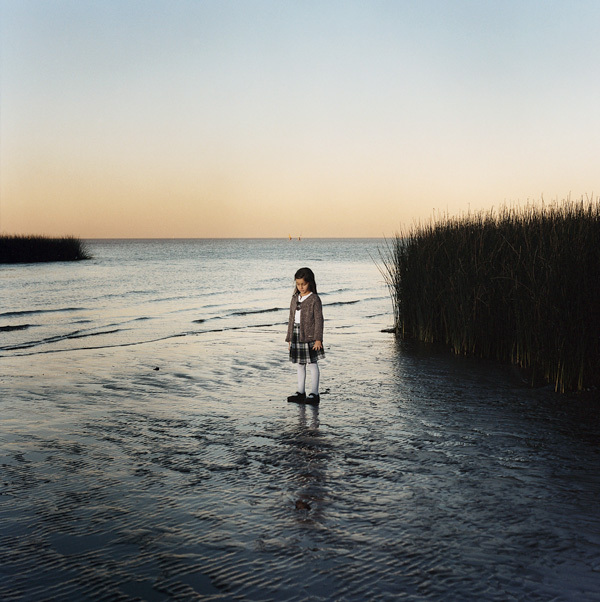 She has enjoyed the challenge of re-acquainting herself with her adopted home through the lens of her camera. 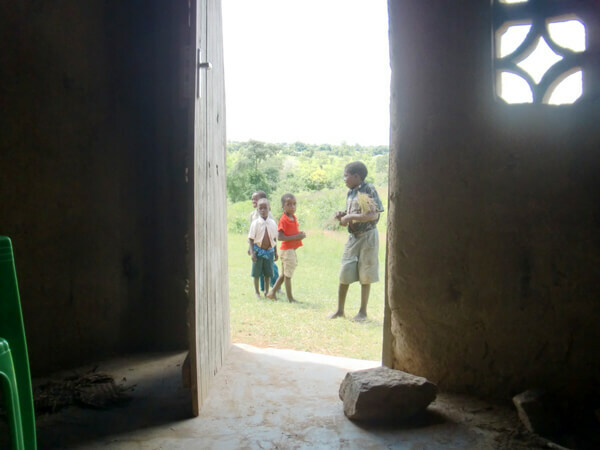 In this series of photographs I want to explore how doors and windows act as gateways (and sometimes barriers) between life inside and outside. 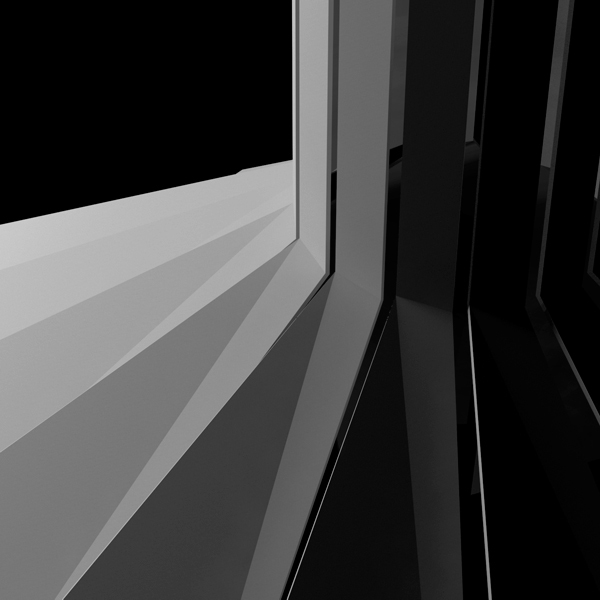 I’m interested in how doors and windows naturally frame what we see, either looking from outside in, or from inside out. I’d like to capture not only the structure and beauty of doors and windows, but also catch a glimpse of how people interact with them. Satoshi Kodera is a novice photographer living in Fukuoka. He finds photography fun and challenging at the same time. A day to day exploration in Fukuoka of the blinking world above our sight. Catching a glimpse of the world “beyond” the surface of the puddles, which only exists after the rain, and then disappears from sight. March 11 to 17, 2016. February 22 to 25, 2016. February 25 to 28, 2016. Most of my work is star photography. January 23 to February 3, 2016. 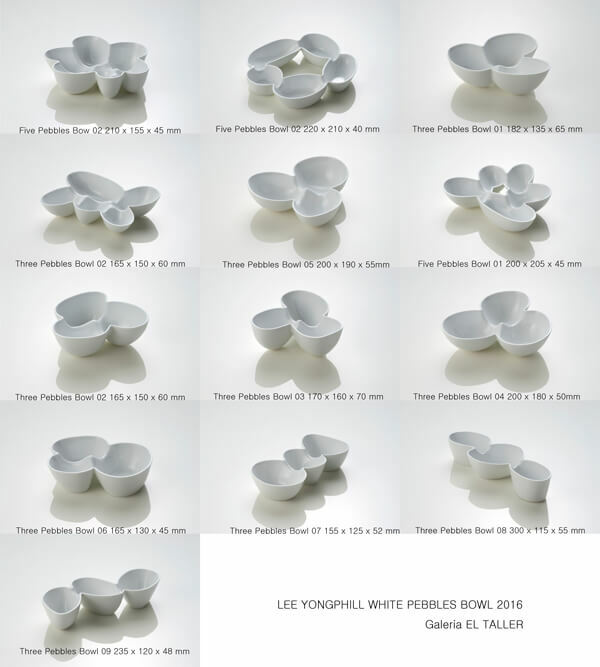 2015.7.29.~8.18 “The 13th Solo Exhibition by Lee yongphill""PEBBLES Drawing" Gallery R.MUTT 1917, Seoul / 2014.5.24-7.24“White Ceramics” Museum of MAGA, Yongin, Korea / 2013.8.3-8.10 White Pebbles ... JOSHIBI ART MUSEUM, Tokyo, Japan / 2013.7.23-8.9“Light Pabbles Drawing”Gallery MASION LEBEIGE, Seoul, Korea / 2012.12.19-12.23“Pebbles Drawing”Hyundai Departmant Store, Seoul, Korea / 2011.9.17-9.30 “Pabbles on the Space” Gabin Gallery, Suwon, Korea / 2011.7.6-7.11 “White Vases…” Mono Gallery, Tokyo, Japan / 2008.6.10-6.20“6th Solo Exhibition”Sikijang B1 JungSoYoung Gallery, Chungdam-dong Seoul, Korea / 2007.5.19-6.2 “Build the Ceramics”Museum Heeje, Angsung, Korea / 2006.9.6-9.30“The White World on the Table”Design Mason, Chungdam-dong Seoul Korea / 2002.9.28-10.26 “Winter Landscape” Museum of MAGA, Yongin, Korea / 2001.3.27-4.7“Winter Still Life” Gallery Sagan, Seoul, Korea / 1999.9.12-10.26 “Winter Still Life” Hill Restaurant Studio Cabin, Fiskars, Finland. January 15 to 20, 2016. December 26 to 29, 2015. November 28 to Dicember 03, 2015. October 21 to 26, 2015. October 24 to 29, 2015. October 10 to 22, 2015. I took all these pictures in Brion, Italy. 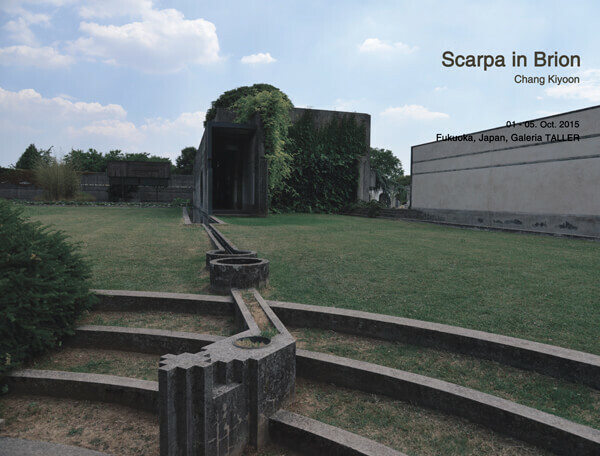 Especially St. Brion is one of the masterpiece of Carlo Scarpa. 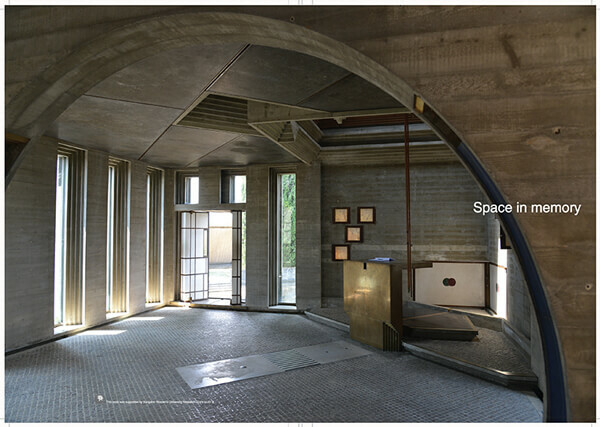 Because it express very well all about the death through the architectural space. At the same time the detail is very spiritual and visual sense, too. I felt he has the sense of eastern & western sense at the same time. It maybe from the journey. Exhibition: Kensuke Miyazaki "Over The Wall"
The mural painter, Kensuke Miyazaki, will present, apart from his own works, photographs of the report of his support activities through the paintings developed in the slums of Kenya and in Tohoku, the region affected by the earthquake and tsunami in 2011. The artist, Miyazaki Kensuke will talk about his projects with pictures. - Saturday, August 29th. 18:00 to 20:00. August 28 to 30, 2015. 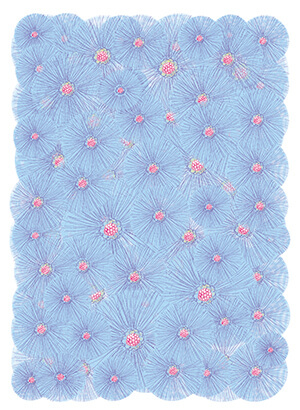 Kimie Aso and her group present their paintings of the pastel floral patterns. 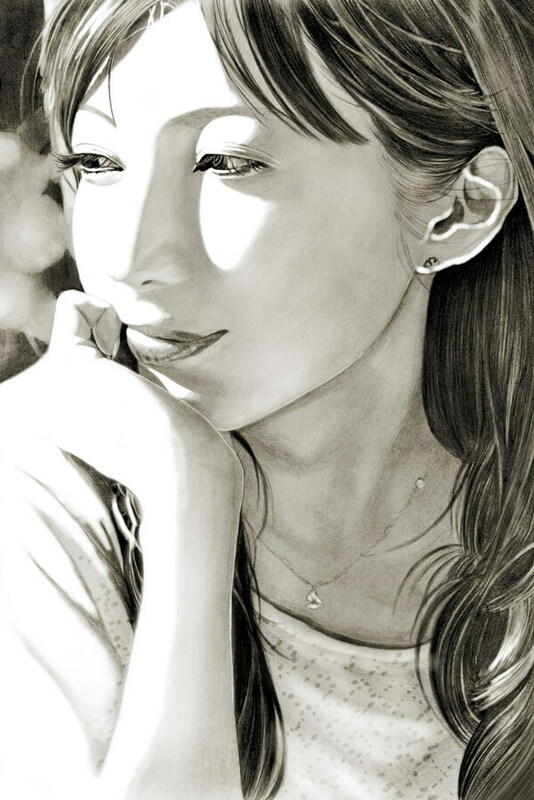 Her original technique is characterized by a painting done with fingers and using the eraser. June 25 to August 2, 2015. 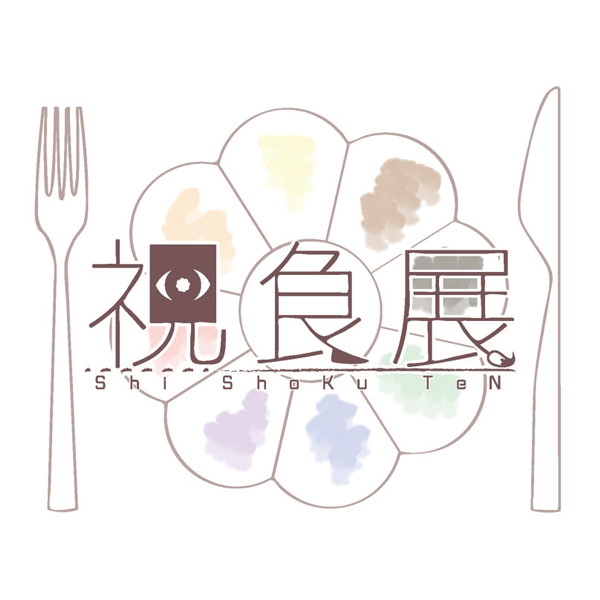 Group Exhibiton "Shi Shoku Ten"
Eight students of visual design at Kyushu Designer Gakuin College present their works in which they express their art, each one with a different color chosen for the occasion. July 17 to 23, 2015. Exhibition by HONG-GOO, LEE "Figuration"
This exhibition explores the ways in which drawing and coloring has been manipulated to dig out deep emotion from the image of objects. Therefor I abstracted the core of flowers, fish, hair etc. and expressed the beauty by computing and hand drawing on paper. July 1 to 15, 2015. 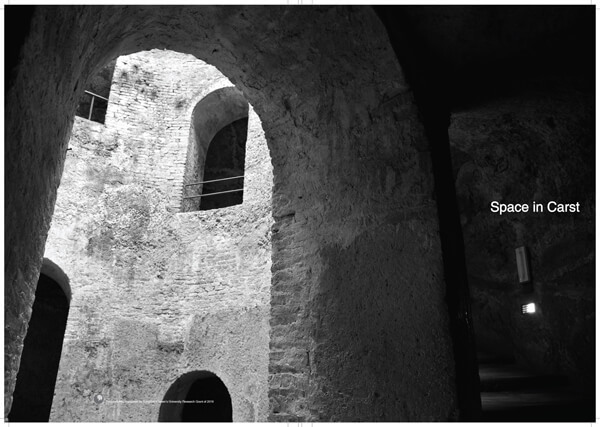 The Embassy of the Dominican Republic presents this exhibition of photographs by Juan de los Santos. 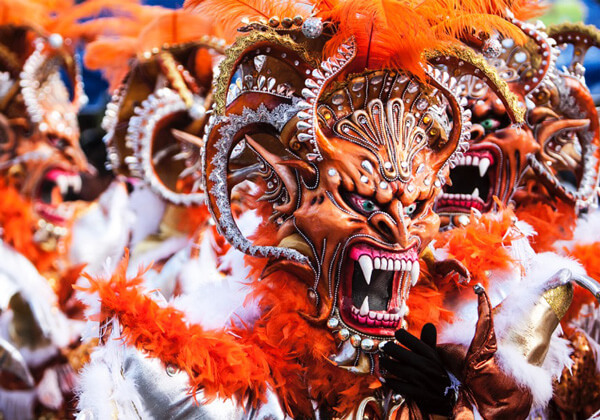 You can feel and share the joy of its rich culture and folklore colorfully in a carnival context. June 1 to 30, 2015. 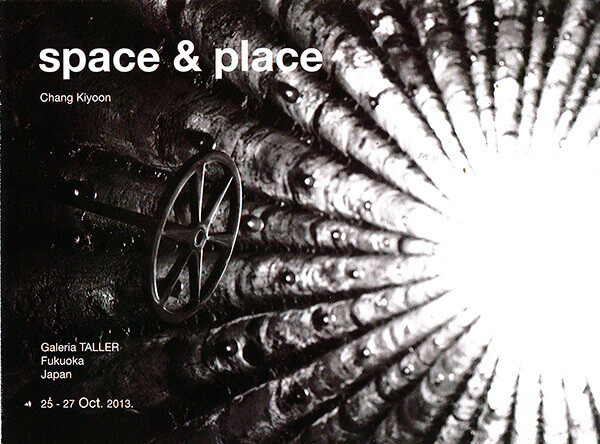 Photographic exposition by Kiyoon Chang: "Space in time"
The Chinese oldest private library, Tiyanyi Chamber, has a mythical sense in the seas of time. 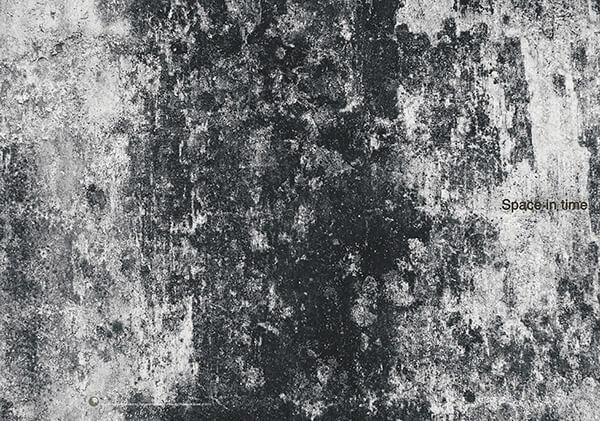 The photographer tries to express its wall painting not as images but as ambient space. April 2 to 6, 2015. Daniel Machado, an Uruguayan artist who has great experience in the Tango world introduces us to photographs of the Tango masters who will participate in the Sakura Tango Festival. Daniel Machado was born in Montevideo, Uruguay, and lives in Tokyo. At his studio, he works as art director and professional photographer. 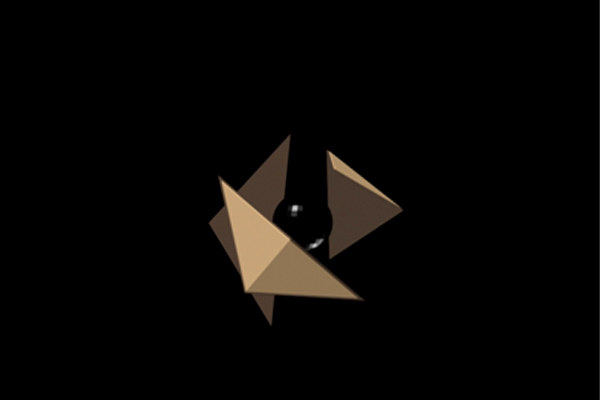 He studied Architecture and Infographic Design at the School of Architecture of the University of the Republic of Uruguay. His beginnings as a photographer took place at Fotoclub Uruguayo. 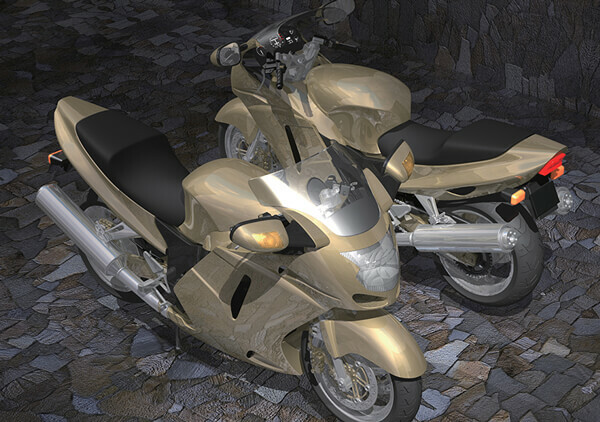 He conducted professional lighting in-depth studies at the Light Studio in Tokyo and took a series of art courses at GrisArt Scholl in Barcelona (Spain). His work has received different international-level prizes and his pictures have been published and are part of private and public collections in Argentina, Brazil, China, Spain, France, Japan, Holland, Italy, South korea, Luxembourg, Mexico, New Zealand, Uruguay and the United States. March 14 to March 30, 2015. 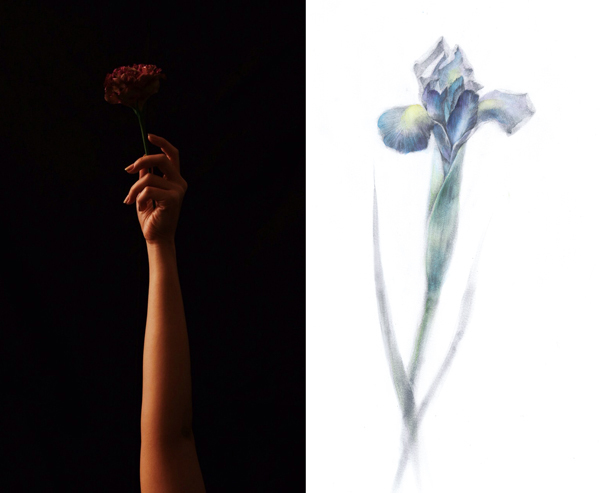 Two young artists, a photographer and a painter will introduce their works with theme of The Flower using each method of representation. You can enjoy their works which are full of personality. February 28 to March 13, 2015. 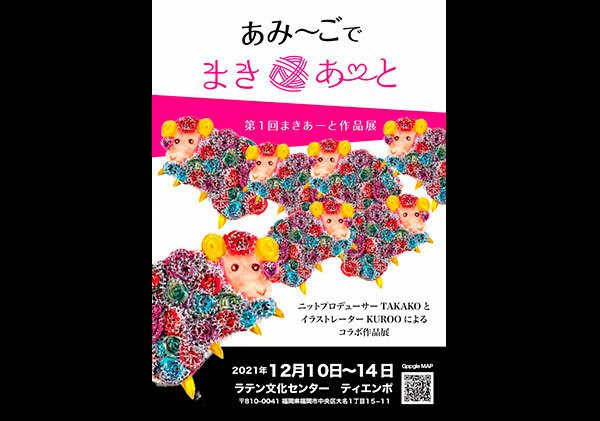 It is the first time photographic show of lovely poodles with funny hair cut by the association “The Premium Sweet Trimming”, which was re-established in 2014 by Noriko Murakami. Janurary 5 to 11, 2015. The students of the Design Academy (School of Design) will present their first works of illustrations, photographs and graphic works. December 23 to 29, 2014. 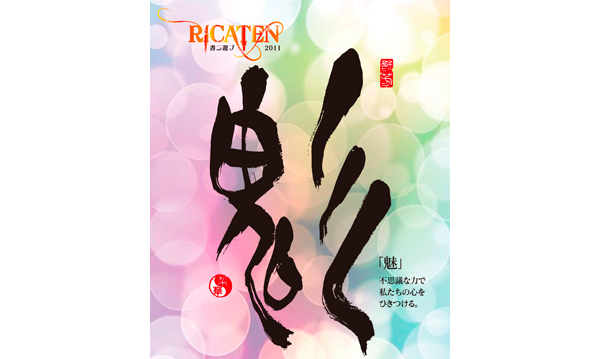 After a year RICA now presents new works of Japanese calligraphy, which reflect her personality. December 15 to 21, 2014. 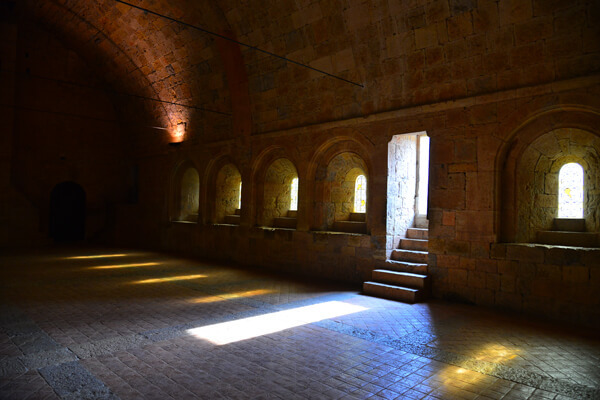 Here I collected 10 pictures of the Abbey especially in France. I hope to feel the essence of the space, place and their spirit. Especially the light sublimely is shinning throughout the whole space. 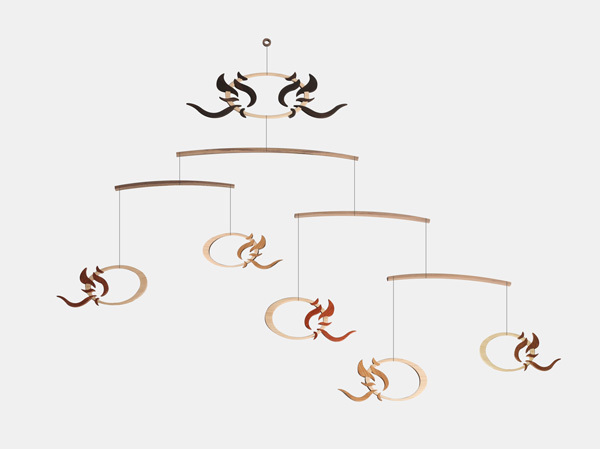 It means light is the essence of the space and combined with the spirit. November 6 to 10, 2014. 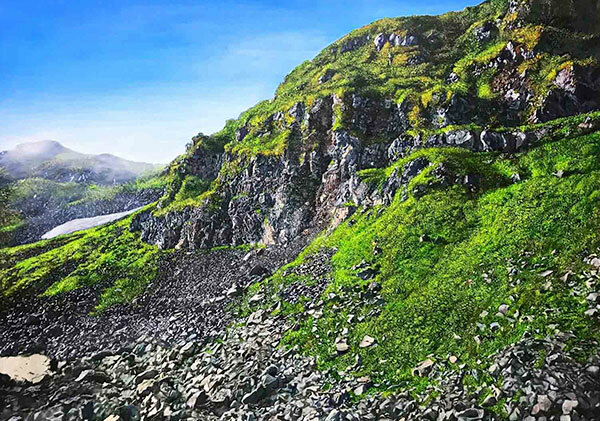 Here I collected 10 pictures of the Nature throughout the East & West I hope to feel the essence of the space, place and their revelation. Although every space is captured in different time and location, It reveals the essence & revelation. 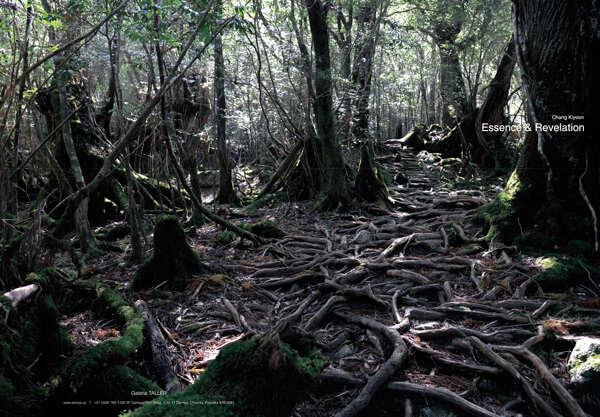 Yakushima, Jeju, Dolomite, Alaska and Punthill on earth. July 22 to July 25, 2014. 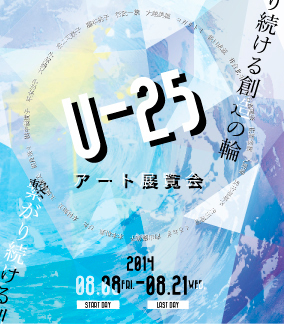 Group exhibition: U-25 (Under 25) - Circle of endless creativity. 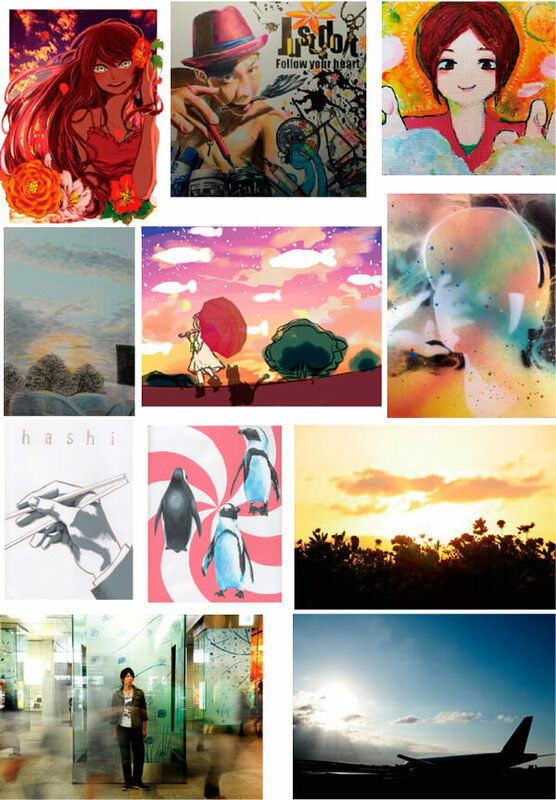 22 young people under 25 from the club of Fine Arts, University of Fukuoka, show us their creativity in various works such as oil paintings, watercolors, CG, objects, etc..
August 8 to August 20, 2014. KPIF, a group of Indonesians, exhibits photographs taken after feeling the emotions caused by the seasons and the culture of Japan, through them they want to convey their affection for this country. August 22 to August 27, 2014. Portfolio of art students, under the title "With My Hands." The Art Students of Tiempo, as the culmination of a new cycle of artistic experimentation and creative work, present their works of watercolor, drawings, acrylic, objects and other works from the workshops held under the supervision of our art teachers, Elaine Y. Ramirez and Shinya Mori. July 1st to July 10th, 2014. 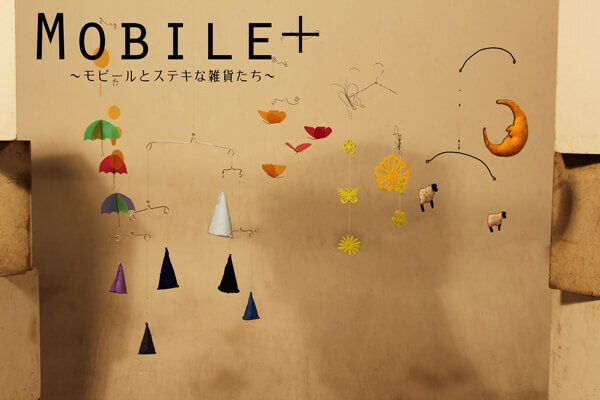 An exhibition by students of Kyushu Zokei Art College, Faculty of Art, Department of Product Design, They will exhibit concept products made of wood and cloth. May 23rd to May 28th, 2014. An exhibition by a mentally handicapped member of “Itaya Gakuen”, a welfare facility for the disabled.In this exhibit, they express their talents and personalities through their work inspired by the Latin world. May 16th to May 21st, 2014. 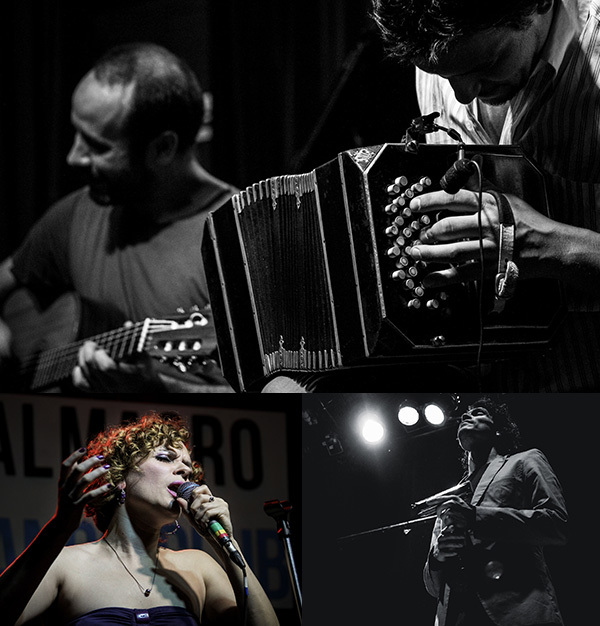 A French painter Mathieu Sodore comes to "Spring Festival of Flamenco" at Tiempo, (Tue), 29th, April. 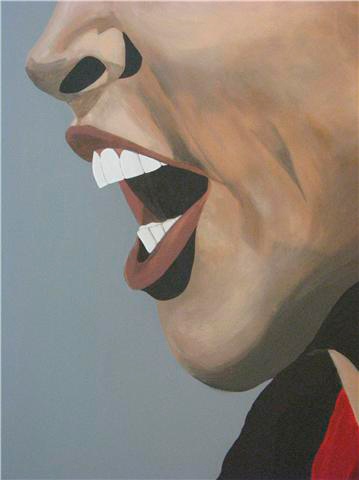 We exhibit the series of his works "La música callada del cantaor" inspired by flamenco´s rythms ( "palos" ). April 25th to May 2nd, 2014. 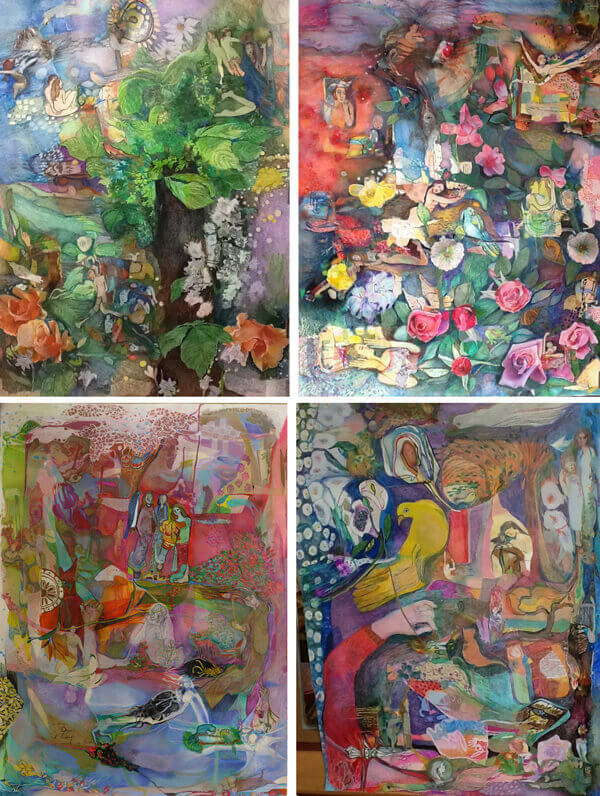 Beti Alonso Exhibition "De La Boca a Fukuoka"
Upon Sakura tango festival for the first time, Betty Alonso who is an Argentinian expressionist painter will visit Japan. Her exhibition will be held at the festival venue and Gallery El Taller. We would like to thank the State Secretary of Culture of Argentina to support this exhibition. She was born in Boka in Argentina where the cradle of Tango. In his early ages, she started painting as a tool of selfexpression. She studied art in la escuela nacional de Bellas Artes Prylidiano Pueyrredon. She has been holding her individual shows in Argentina and abroad. Also, she has been trained the younger generations at her atelier over 30 years. At present, she has been working on the portraits of the Argentina historiacal heroes by the commission of the Argentina ministry of culture. March 24th to April 15th, 2014. Supported by the State Secretary of Culture of Argentina. Illustrator Naoko Shisa, will introduce her works with charming style describing people and animals living in different environments. March 7th to 19th, 2014. Exhibition produced while at graduate school: prints, engraving and photographs. Welcome to Keiji's world! February 28th to March 5th, 2014. 10 diifrerent genres of artists put their works together. Enjoy this unique exhibition! Takuma Nishimura (Underwater Photographer), Moyuki Ueno. February 14th to 26th, 2014. We will have Artist of Sculpture, Print and Ceramic art, Oscar Gutman (Mexico city) art exhibition supported by Mexican Embassy. 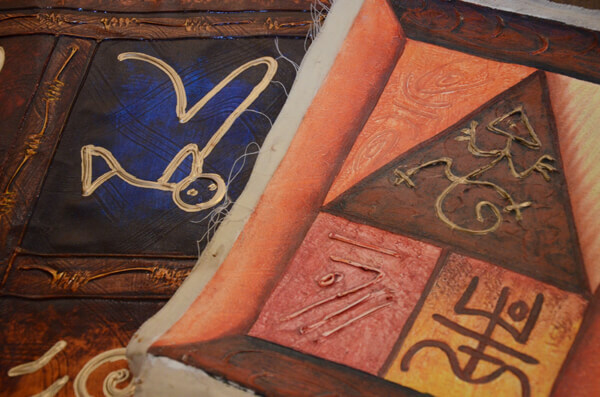 We will be experienced his original and unique world through 18 works with woods and cloth. 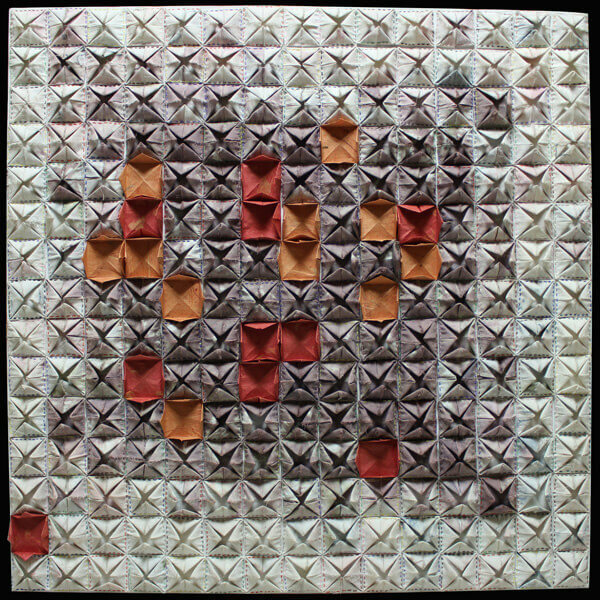 The artworks by Oscar Gutman made in mixed media (encaustic and oil on wood and canvas) with geometrics forming a particular weaving. He invites us to reflect on who can tell a story, describe a scene or narrate a moment of life based on color and geometric. January 7th to 20th, 2014. 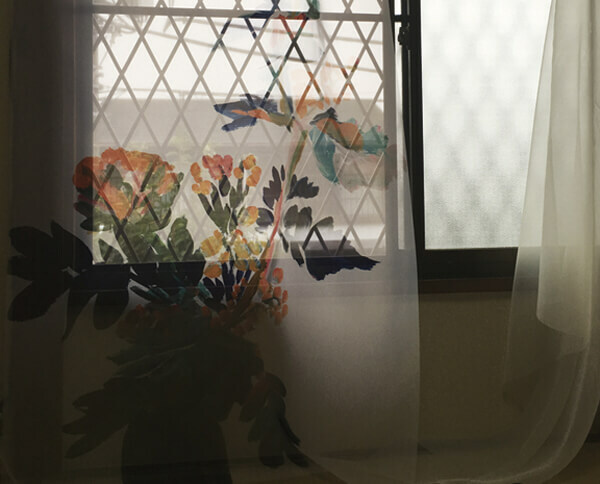 Exhibition of the works of Tiempo's art class students: "Small and artistic gifts"
Art Instructor, Shinya Mori and his students will be holding an Exhibition of Tapestry. 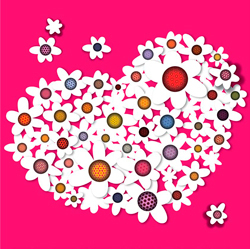 Theme of works is “Shape of flowers, Shape of plants”. The picture drawn with various materials is put on the panel of 10x10, and finished by the unique method of dropping wax on it. The wax finishing will add the warmness to the picture and show it differently rather than the glass of a photograph frame. 100 works of 10x10 will color Tiempo 3F space in this Christmas season. All will be on sale. 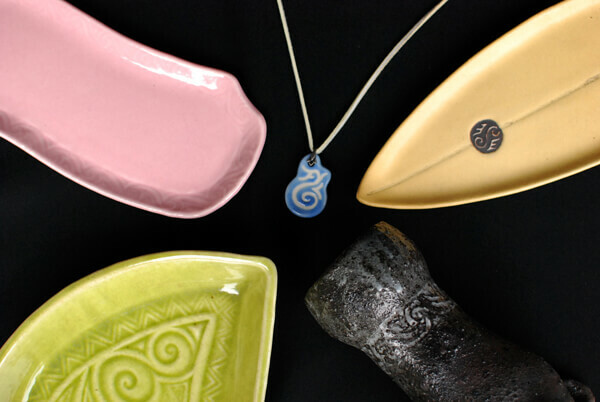 How about giving your most favorite work to family & friends as Christmas gift? December 14th to 25th, 2013. 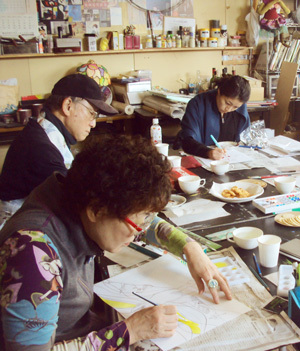 Japanese calligrapher Rica will show her best recent works. 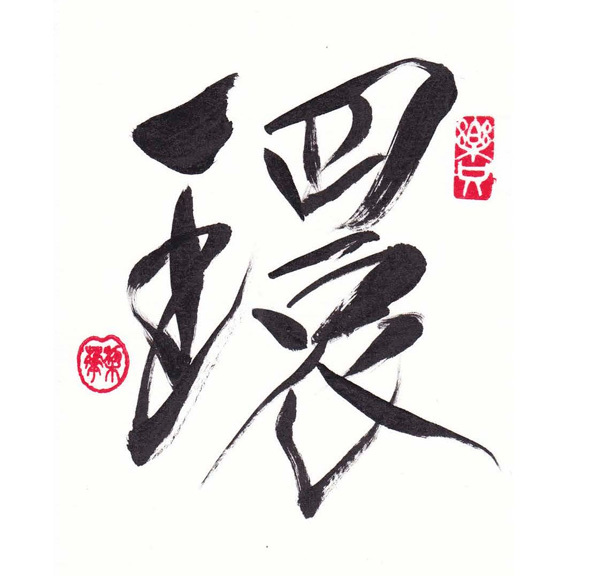 Come and see how she expresses herself with the Japanese brush. November 22nd to 27th, 2013. 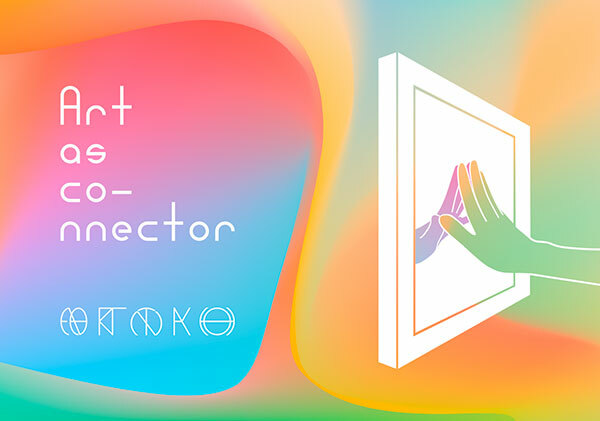 Illustrators, Ryo Hashimoto & Mio Hatae, and Ceramist, Miki Miyamoto will organize Group exhibition expressing who they are and focusing on how they create their works. November 6th to 19th, 2013. October 25th to 27th, 2013. 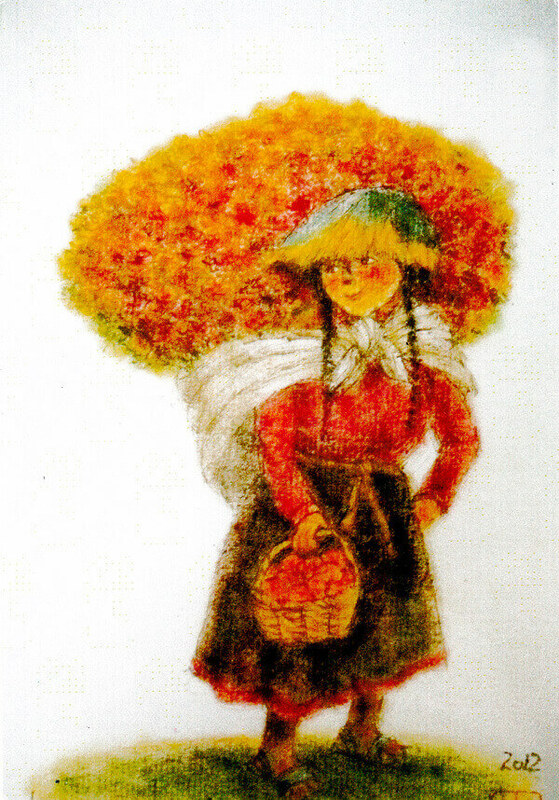 Famous painter, Tadayuki Noguchi was inspired in Andes, Peru and drew pictures. October 12th to 20th, 2013. Unit brand “Heads Hats” will exhibit accessories, such as Hats, Hair bands, Stoles etc. 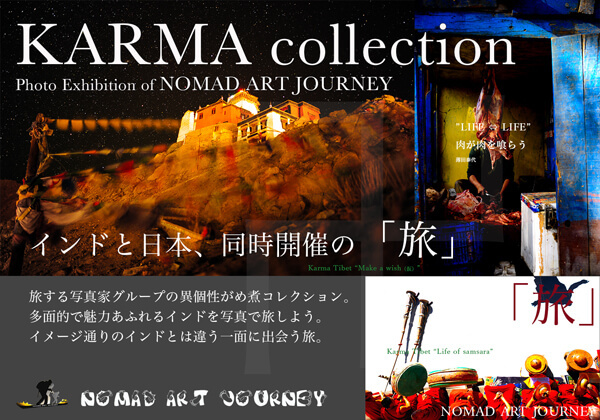 Unique exhibition by Painter, Takashi Akaboshi and Creative artist, Asami Yoshinaga. 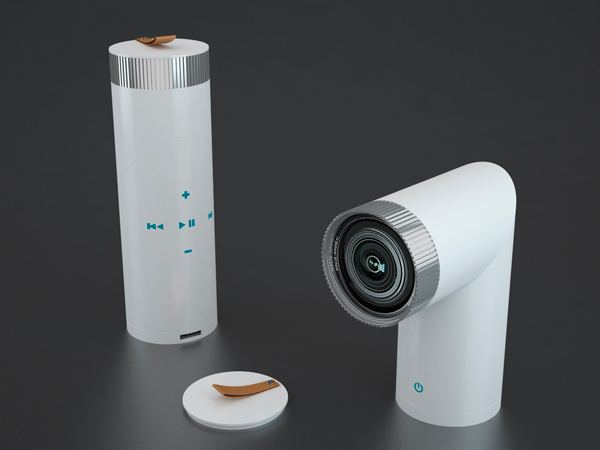 Photos are sent through “Instagram”, smartphone application software. July 29th to August 11th, 2013. 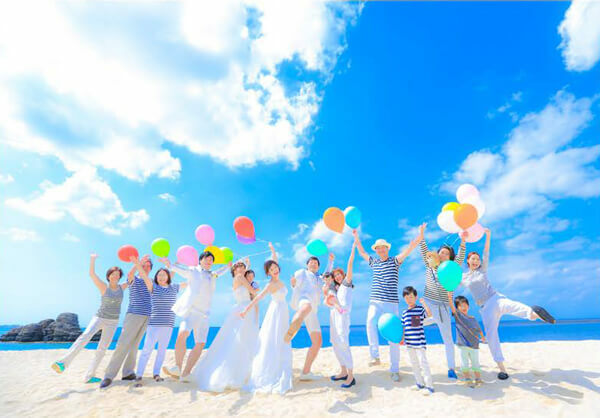 The former member of Japan Overseas Cooperation Volunteers exhibits the photos taken abroad. July 19th to July 24th, 2013. Exhibition by Hong Goo Lee (Seoul): "Motivation"
This exhibition titled "Motivation" presents 10 visual works. Works are motivated by a few great artists such as Ellsworth Kelly, Roy Lichtenstein, or Alexander Calder. The original works have very valuable rules of beauty in arts. The exhibition tried to catch the rules and to transform into a new way of drawing. HONG-GOO, LEE: Associate Professor, Sungshin Women's University, Seoul. May 24th to May 29th, 2013. Exhibition of the works of Tiempo's art class students. 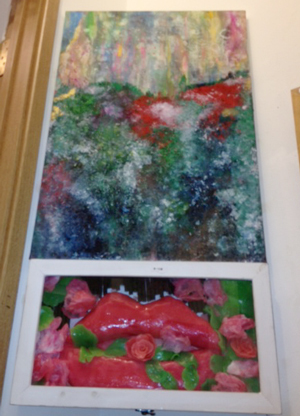 Many works will be exhibited such as pictures, collages, sketches and objects created by art class students. The experience type work (installation) is also planned. Opening party is held on Sat. April 20th. April 20th to May 5th, 2013. March 29th to April 3nd, 2013. The painter expressed in his art works how important the friendships & relationship are with people who he met through his trips since he was a child. February 7th to 15th, 2013. Joint exhibition of art, goods, and clothes by handcraft artists. January 8th to 14th, 2013. Exhibition on Christmas theme by Artist group "Nemurico". 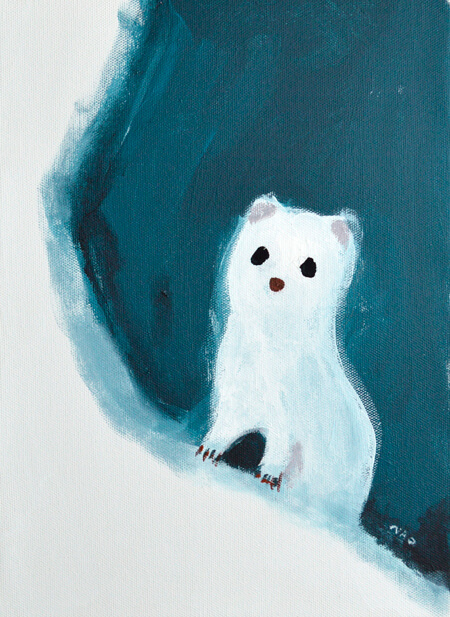 Midori Ohyama, a member of “Nemurico”, Artist group from Fukuoka, published Christmas picture book, “Happy Merry-chan”. 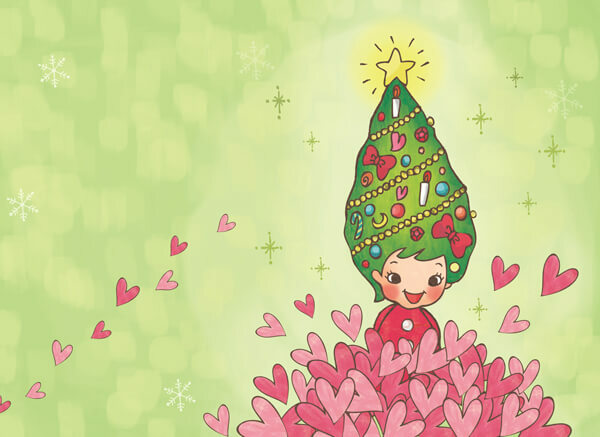 3 artists express “Christmas” in their own style to celebrate Ohyama’s first publication. November 30 to December 12, 2012. 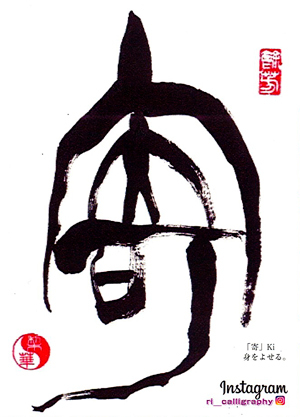 Japanese calligrapher Rica will show 30 of her best recent works. 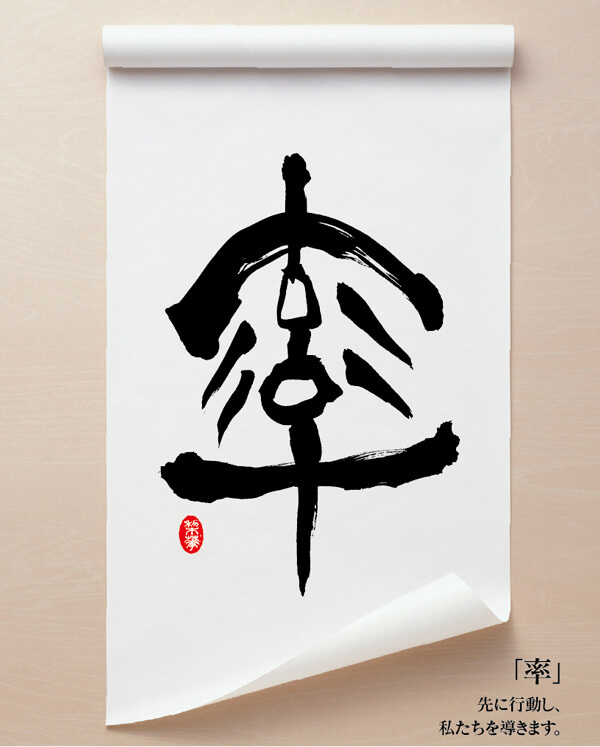 Come and see how she expresses herself with the Japanese brush. November 23 to 28, 2012. "New approach of interior design promotion"
All the house design in contents are done by Korea very famous Architects and designers. They suggest me how promotes these houses? Generally house promotions are focused on the house meterial, number of rooms, all specifications, price-oriented explanation, and so on. In other words, it is very physical approach & promotion for selling the house & design. But while you examine the exhibition contents, it shows that what kind of life progress if you live in this house non-physically. 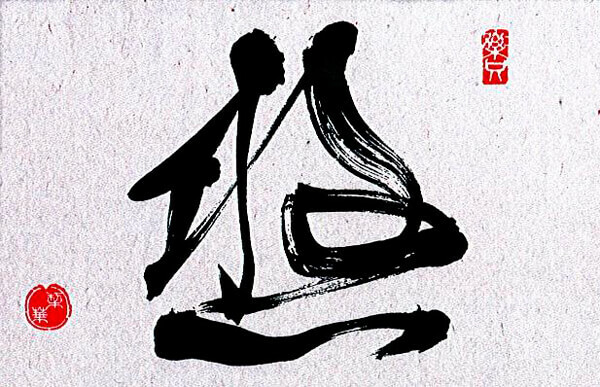 In other words, emotional imagination of all the houses is described through the season, life style, space character with the very delicate sense. 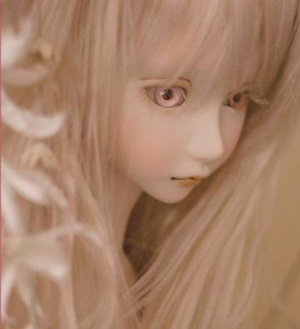 Because it is so delicate, I want to explain more details in your gallery. November 9 to 14, 2012. A joint exhibition by six artists with different technique; the copper engraving, painting on porcelain and ball-jointed doll. October 26 to 31, 2012. 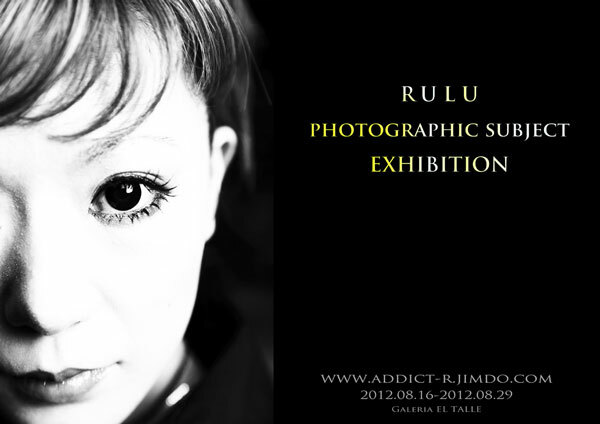 Exhibition of photos from various photographers who all took model Rulu as subject. Exhibition: "Porcelain Art of Kazutaka Kojima"
Exhibition of various pieces of porcelain with spiral designs, created by artist Kazutaka Kojima (Itoshima, Fukuoka). To commemorate the visit of the teacher María Marta Herrera and her special talk, Tiempo’s art students will exhibit their work entitled “Mujeres” (“Women”). 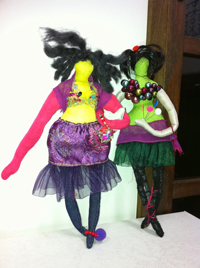 Our current and past guest teachers will contribute work to the same exhibit. 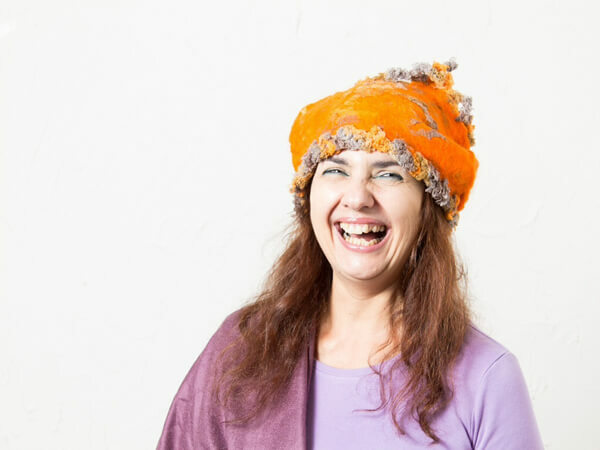 After the talk on the 7th, we’ll raise a glass with María Marta. The exhibition will feature various works of Taino art. 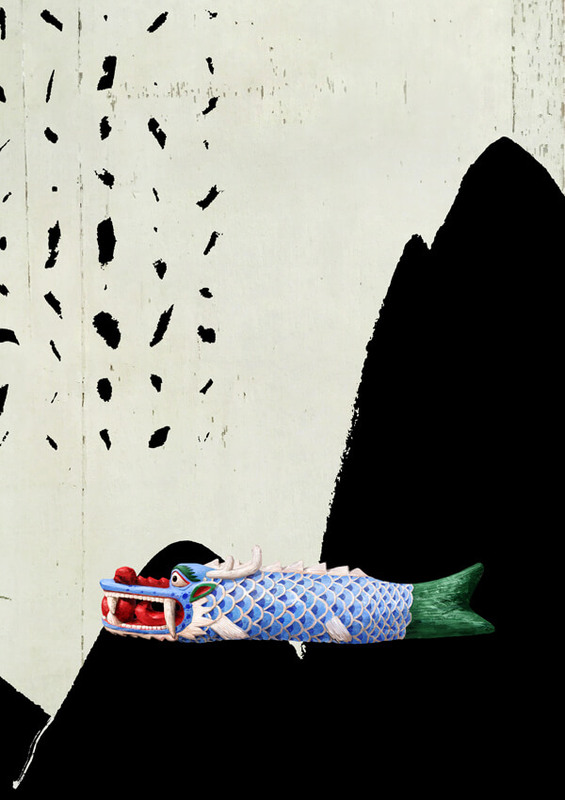 Exhibition: "The Dialogue Between Styles"
An exhibition of photomontage y Korean artist Hong-Goo Lee, from Seoul. 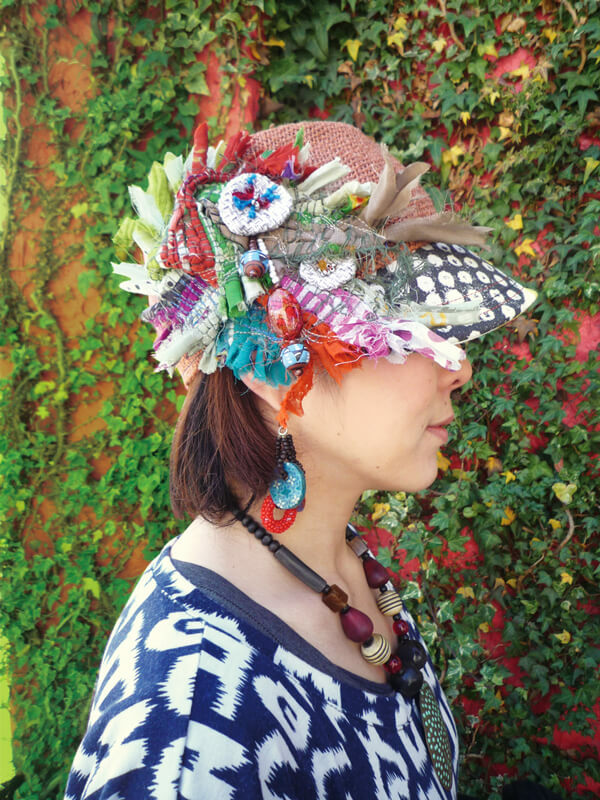 Exhibition of Mexican fabrics by Japanese artist Yumiko Murai, who lives in Mexico. All her works (carpets, cushion covers, bags, etc) are hand-made. 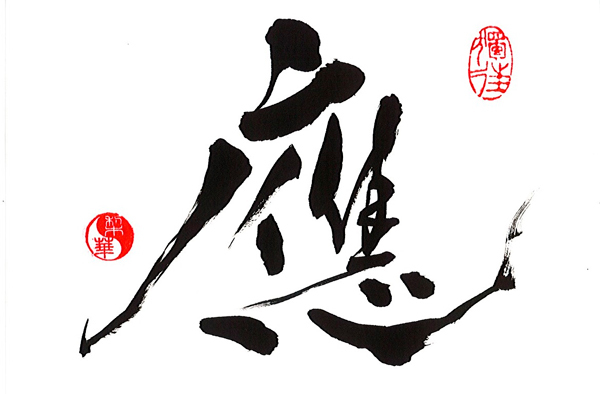 Japanese calligrapher Rica will show through her works how she expresses herself with the Japanese brush. Exhibition by Mariana Gabor "Constant Presence"
Mariana Gabor is a painter and sculptor born in Buenos Aires. She graduated from the National School of Fine Arts Prilidiano Pueyrredón. I still believe that human beings exist and have nails, hair, flesh, sweat, heart, tears, eyes… It is like our own life and that's why I paint. My major obsession is painting ourselves: women and men living on this planet. Hence, the figuration, the portraits, the objects where I recognize them and myself, feeling passion, love, sincerity, problems, ambition, simplicity. I try to stimulate feelings to give a deeper meaning of the image of reality, with the intention to create artworks able to catch this reality in all its vividness and strength, and fix it on the canvas I believe that through my works and characters, which are temporary moments of my mortal animal conscience, I can define an elemental truth about me. My work, sometimes torn and ironic, dissolves the most aggresive expression in pure painting. 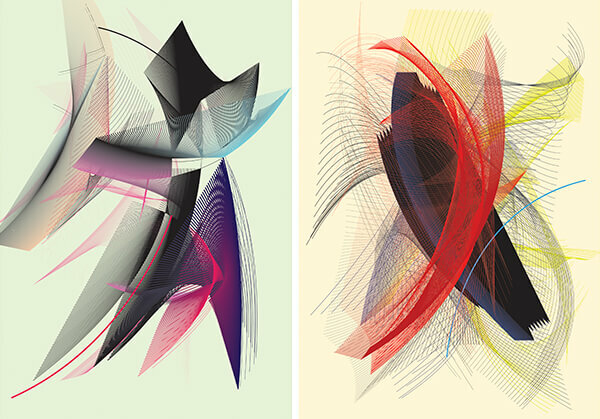 Then, the colours and the strokes are our means to give expression and cause a subjective distortion of reality. For instance, an individual painted in a permanent anxiety seems to be calm. As an artist, my commitment is to awake sensibility and interests through my work. 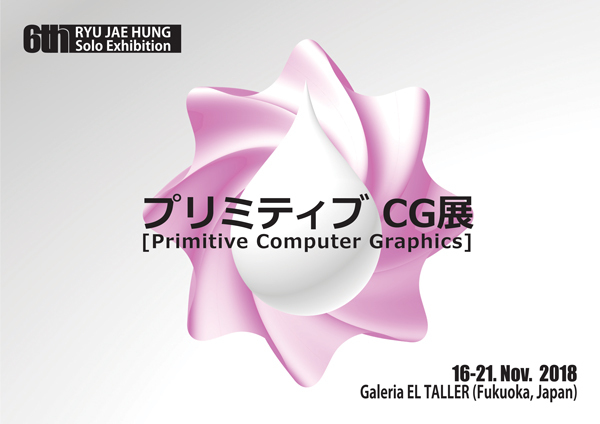 Artist Nobukazu Tanaka is back 3 years later to gallery El Taller with his new works. This time, we will discover his new artistic challenge: a very complex composition in his paintings. 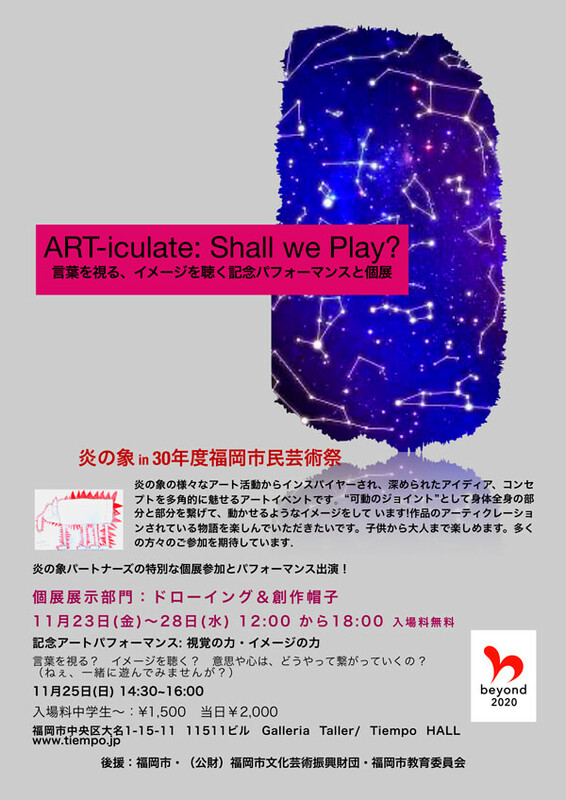 Oil pastel artist and teacher Nao Tashima will display her new works, painted on blackboards with oil pastel. Her exhibition starts on 13th of October at the gallery. Macarena Olivera travelled for the first time to Asia in 1998 when she received a scholarship from the Japanese government to study sculptures in the University of Arts in Kumamoto city. Since then, she’s been carrying out many exhibitions, both individual and collective, in Japan, Argentina, Spain and Germany. In 2008, she took part in the 5th Convention of Japanese Culture in Argentina with the relief of a Buddha. 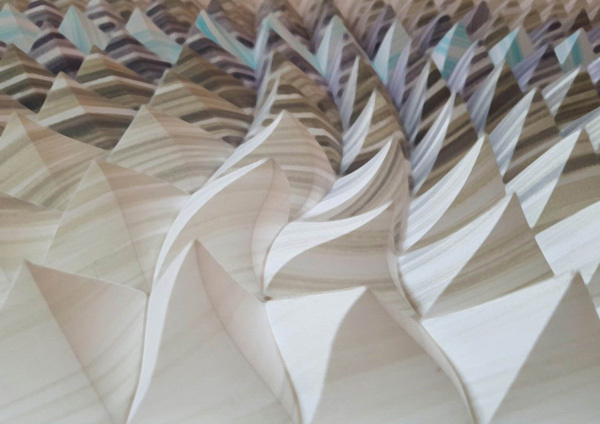 Among her works are numerous paintings for event stages, monumental sculptures made of paper, polyester or cement and artistic interior designs. 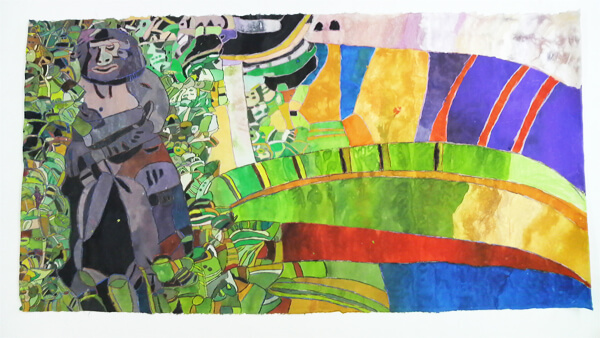 Her works are characterized by a clear fusion of cultures. She always seeks to look deep inside people to be able to express feelings through the figures she paints: quiet, daring, aggressive, challenging… ; self-confident figures who seduce with their look all those trying to understand them. 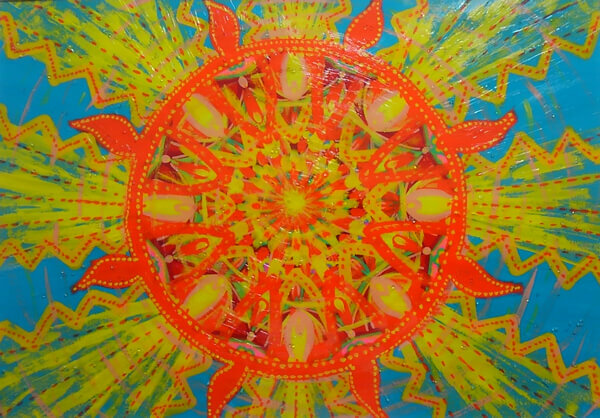 Their aspect is reinforced by the colors chosen by the artist, intense, joyful and eye-catching colors that gives the paintings a blazing expressivity. September 9 - September 14, 2011. Chumpol Taksapornchai Exhibiton "Calming in awareness"
The Thai artist, Chumpol Taksapornchai,embodies Buddhist philosophy insights and an appreciation of living a simple life. Using a versatile set of mediums which include oil, acrylic, watercolors, and crayon on canvas and hand-made bamboo papers, his art work exudes a peaceful aura, a reflection of the philosophy that shapes his everyday life, culture and faith. August 11 - August 17, 2011. Three students from the Arita College of Ceramics, specialized in different fields, will show us for the first time their skills at making chinaware with different techniques. July 29 - August 4, 2011. April 21 - May 12, 2011. An exhibition of illustrations done by two graphic artists who are fans of wrestling. 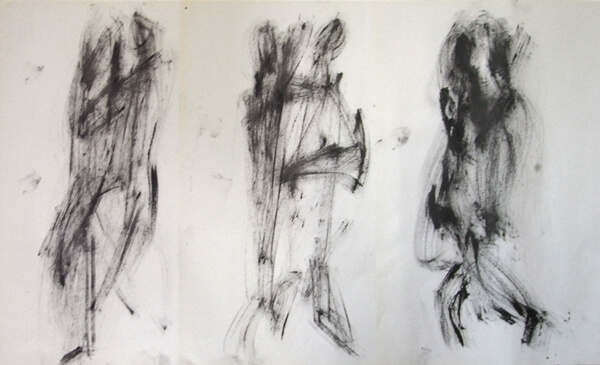 Viewers can see drawings of the wrestlers in different styles by each artist. March 16 - 31, 2011. 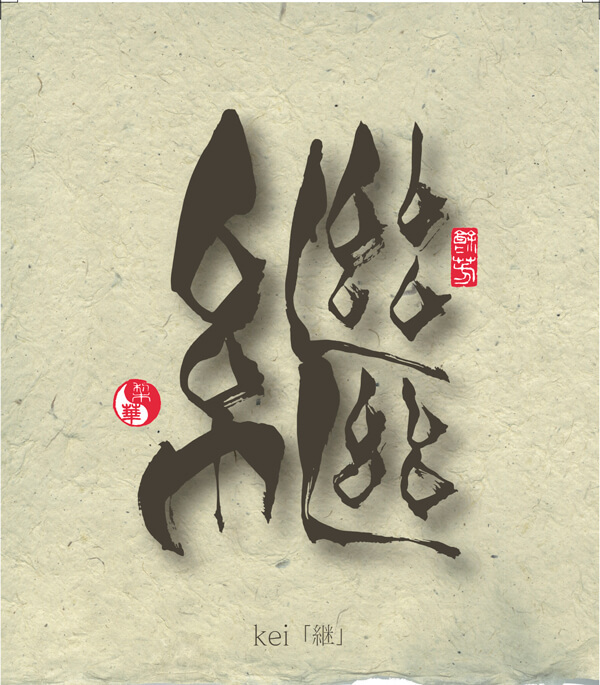 This exhibition will show works of calligrapher Megumi Nakayama who won several prizes in national and international contests. She started calligraphy at the early age of 11, and she now focuses on expressing her feelings by letting the brush carry her away without sticking too much to traditional techniques. You will be able to catch a glance at this shift in her art in this exhibition. February 2 - 16, 2011. 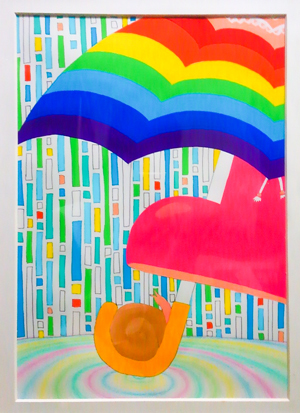 This collective exhibition by six women artists of Fukuoka has “Happiness” as its main theme. Each artist will exhibit the art she likes and makes her feel happy such as paintings, silvercraft, leathercraft, among others. 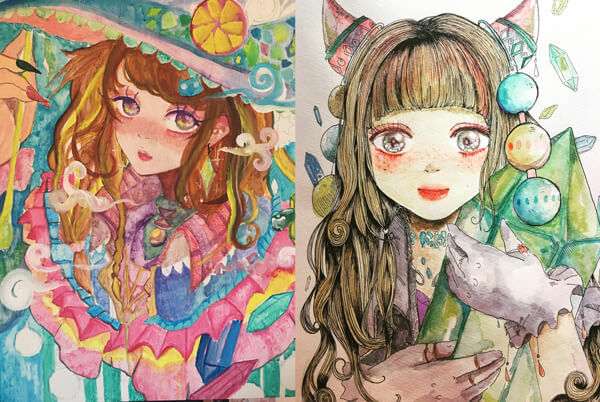 The artists are: Kaori Abe, Emiko Matsuda, Maria Inoue, Shizuka Yamashita and Sayaka Ueda. February 6 will be closed. November 22 - December 29, 2010. 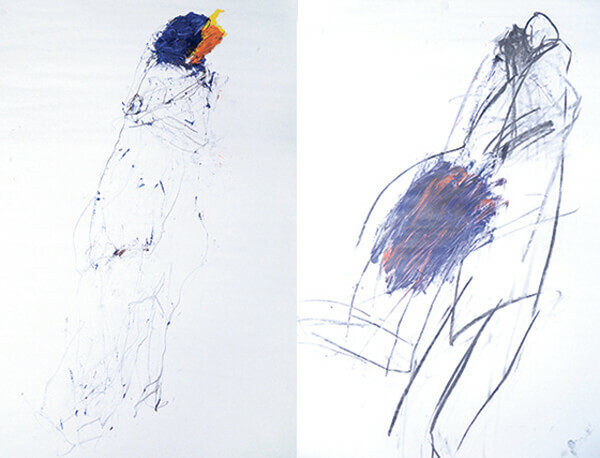 The Japanese painter, Shinya Mori, will demonstrate his works of croquis with the models of tango and flamenco dancers. 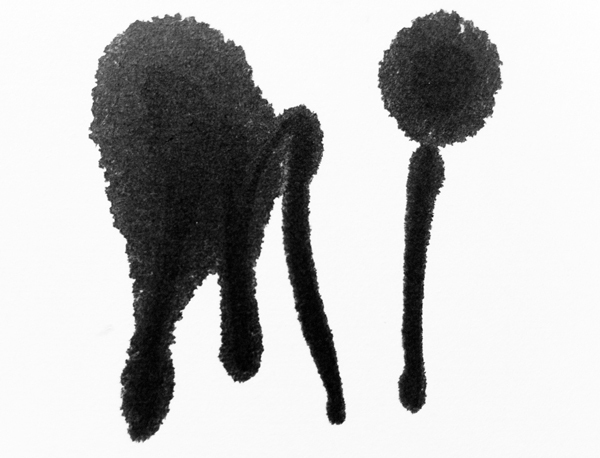 On November 7th and 14th (Tuesday), “moving croquis” studio at Tiempo will be open. (Models: Talita, flamenco dancer.) Croquis technique will be demonstrated. Admission: 3,000 yen (2,500 yen for T.I. members). November 4 - 21, 2010. Exhibition of the works of Tiempo’s art class students. 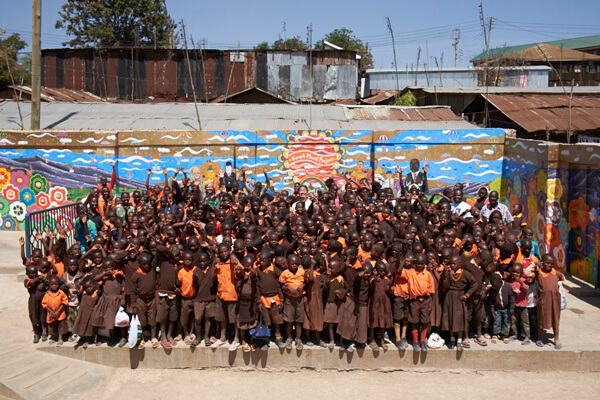 This exhibition will gather the works that Tiempo’s art class students have achieved during the year. 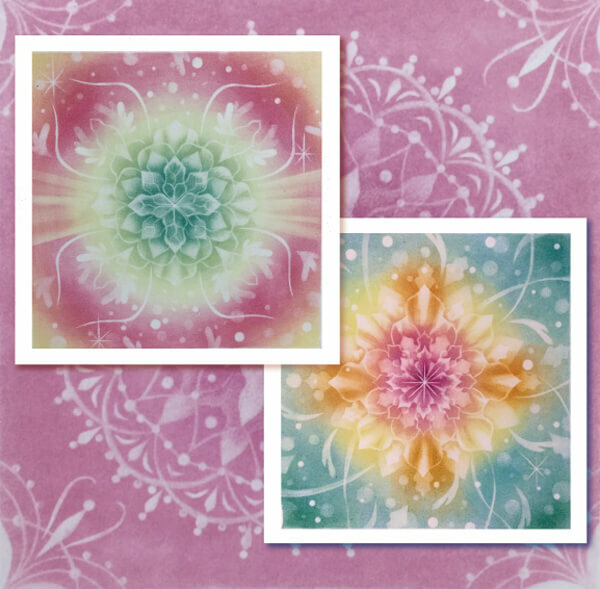 They include a great variety of techniques and styles, such as watercolours, pastel works, drawings, engravings, paper objects, and also a mix of several of these techniques. 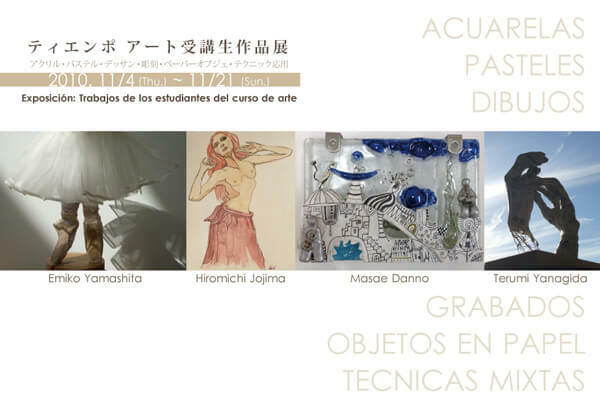 The exhibitors are Hiromichi Jojima (Jorge), Emiko Yamashita, Terumi Yanagida and Masae Danno. 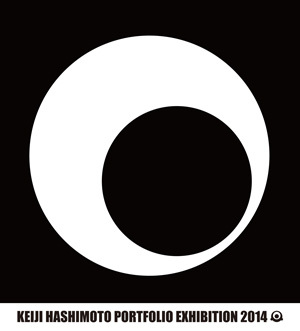 The opening party will be held on November 6th (saturday) at 7pm. Free entrance. October 2 - 30, 2010. 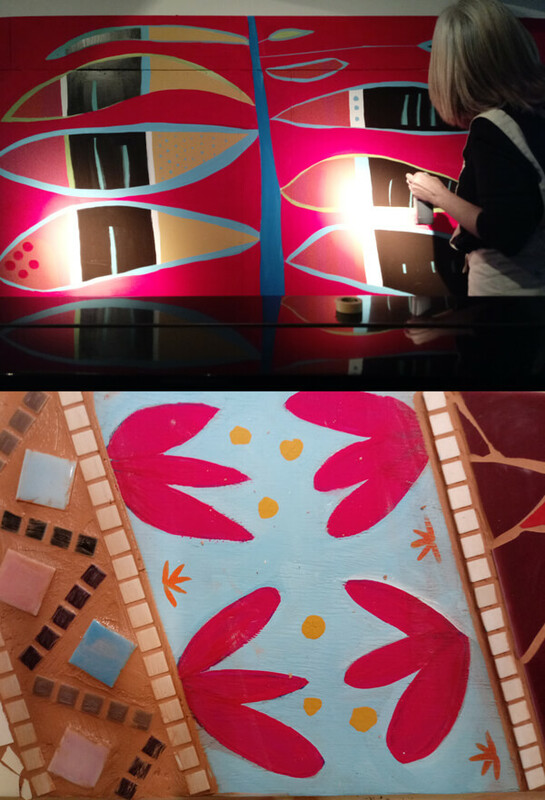 Our art teacher Macarena Olivera ( Hispano-Argentinean plastic artist) has been living in Japan since 1998, which is why we can clearly note in her paintings a remarkable fusion of cultures. What particularly stands out in her work are the mix of features in her portraits, her powerful colours and the variety of techniques she used. This exhibition will show about 30 of her works. 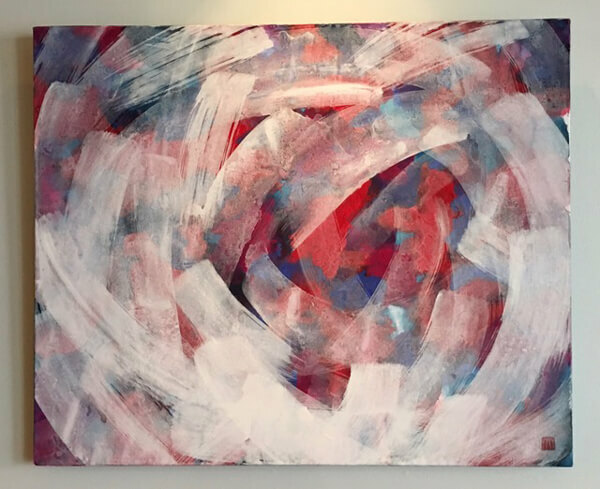 One of her paintings gives us a clue as to the direction her new artistic path is taking. Macarena Olivera was born in Buenos Aires, Argentina, on April 7, 1970. Between 1988 and 1992, she studied at the Escuela Nacional de Bellas Artes Prylidiano Pueyrredon.